The senior year for any graduating class of course begins with the graduation of the class before it. Therefore, those of us in the Class of 1980 became seniors in June of 1979. American President Jimmy Carter and Soviet Prime Minister Leonid Breshnev signed the Salt II Treaty, and Nicaraguan President General Anastasio Somoza DeBayle fled to Florida to avoid capture by the the Sandinistas. Meanwhile, here in the rest of the economically recessed United States, those ready to graduate from high school or college into a new decade were anxious for the what the future might hold. Our mode of dress was still evolving from hippy ’70s to disco-influenced fashions, even as we proclaimed that Disco Sucked. As a matter of fact, by the end of our junior year, disco music dominated the pop charts, even though there was plenty of hard and folk rock, weepy ballads, and a few crossover country songs to keep Top Forty radio interesting. Access to popular music in the Endless Mountains was still limited to a few AM radio stations, some outlying FM stations, American Bandstand and Soul Train. As we began our final summer of true freedom with no immediate plans yet for working full time or going to college, the Bee Gees and Donna Summer were duking it out at #1 with “Love You Inside Out” and “Hot Stuff.” Donna won out with the one hit of hers that really rocked as well as moved people to the dance floor. “My Sharona” by the Knack was #1 as we started school at the end of August and remained at the top of the charts for six weeks. Touted as the “new” Beatles and bearing a few similarities, the Knack never quite made the grade. Their follow-up hit, “Good Girls Don’t” reached #11 on the Billboard Hot and the Top Five on the Radio & Records Rock Tracks chart, but the Knack only barely made the Top 40 two times after that and disappeared. October brought us a surprise instrumental hit by Herb Alpert, who had led the Tijuana Brass to incredible success in the 1960s. His peculiar sounding “Rise” was followed at the top of the charts two weeks later by one of the quirkier #1 hits ever: “Pop Muzik” by M.
M was certainly not the first contrived group to reach the top spot on the charts. Many bubblegum bands of the 1960s like the Archies, the Lemon Pipers and the Monkees were primarily comprised of unnamed studio musicians. Englishman Robin Scott reportedly first released “Pop Muzik” as a straight ahead funk song until he was encouraged to re-record it using synthesizers, which were still fairly experimental. The Eagles redeemed rock ‘n’ roll with “Heartache Tonight” from the popular album of the same night. It managed just one week at the top of the charts before the Commadores’ affable ballad “Still” took over #1 for a week just before Thanksgiving. 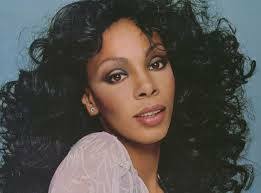 Donna Summer showed that 1979 was her year as she brought a pop icon to the top of the charts in her duet with Barbara Streisand. “No More Tears (Enough is Enough)” took us into the holiday season. The rock group Styx nudged their ballad “Babe” to the top in mid December before unknown singer-songwriter Rupert Holmes broke into the top three with “Escape (the Pina Colada Song).” It was both the last #1 song of 1979 and the second #1 song of 1980 as it retook the throne from KC & the Sunshine Band, who’s last #1 hit was the ballad “Please Don’t Go.” Rupert had two less-remembered but fun songs from his sophomore album that also charted while we were seniors; “Him” at #6 and “Answering Machine” at #32. Pink Floyd’s four-week stay at the top of the pop charts from March inTO April proved that radio audiences still had plenty of room in their repertoire for progressive rock. Blondie, who’d caught our ears early in our junior year with “Heart of Glass,” was back at the top of the charts with the rockin’ “Call Me,” the title theme from the popular motion picture, American Gigalo. After one more perky rock hit, the live version of Paul McCartney and Wings’ “Coming Up” reaching #1 for three weeks, the Class of 1980 graduated with the venerable disco hit and one-hit wonder “Funkytown” at the top of the pop charts. Country music wasn’t especially popular in 1979 and ’80, but a few cross-over hits and classics stand out, “The Devil Went Down to Georgia” by the Charlie Daniels Band surely the biggest of them. Other country hits from that year that stood the test of time included “Amanda” by Waylon Jennings, “All the Gold in California” by the Gatlin Brothers, “Coward of the County” by Kenny Rogers, and “My Heroes Have always Been Cowboys” by Willie Nelson. Songs from the R&B/Soul charts weren’t played as much on local radio, but we could hear them on Don Cornelius’s Soul Train on Saturday mornings and they found their way into our school dances. Some of the better-known #1 R&B/Soul hits from June 1979 to June 1980 included “We Are Family” by Sister Sledge, “Ladies Night” by Kool & the Gang, “I Wanna Be Your Lover” by Prince,” and “Stomp” by the Brothers Johnson. Needless to say, rock music was still very popular among Class of 1980 seniors in the Endless Mountains, with songs by the Cars, Led Zepplin, Foreigner, Jackson Brown, AC/DC, Cheap Trick, Electric Light Orchestra, Boston, Fleetwood Mac, and Aerosmith played at every party and dance.